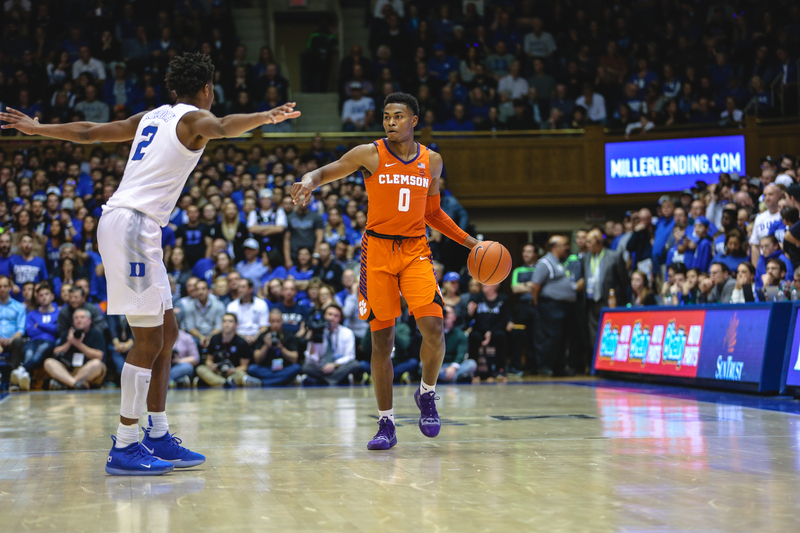 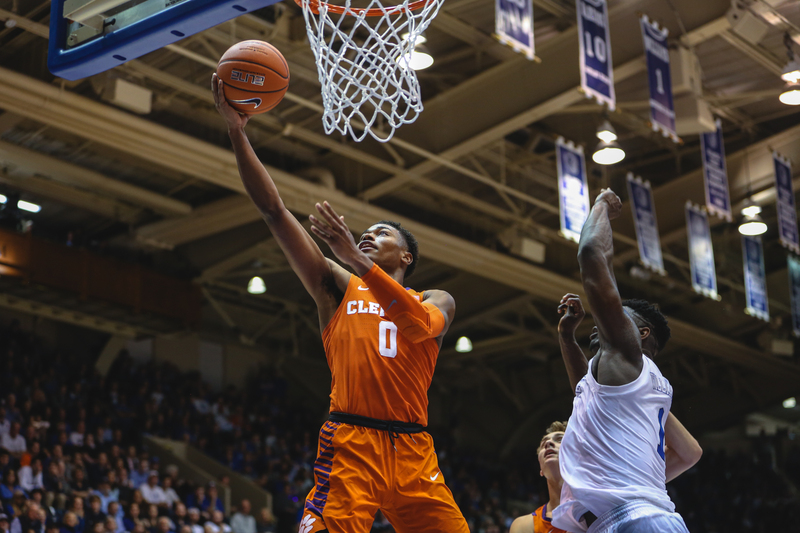 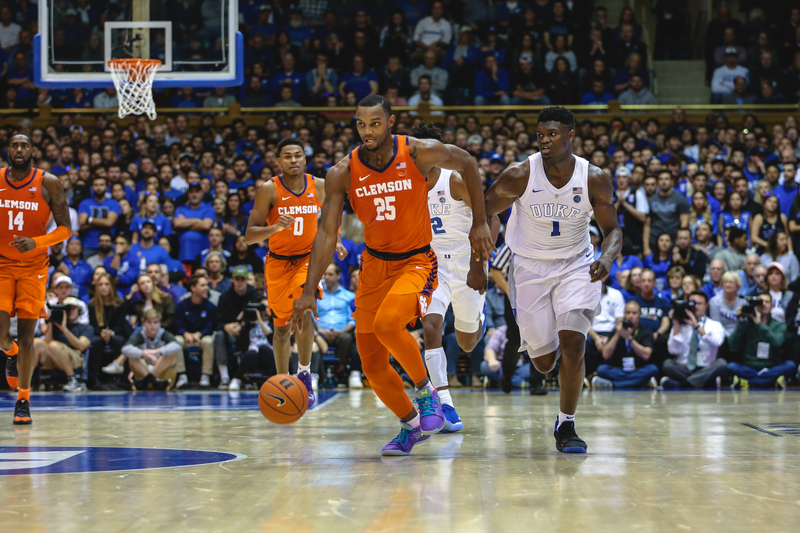 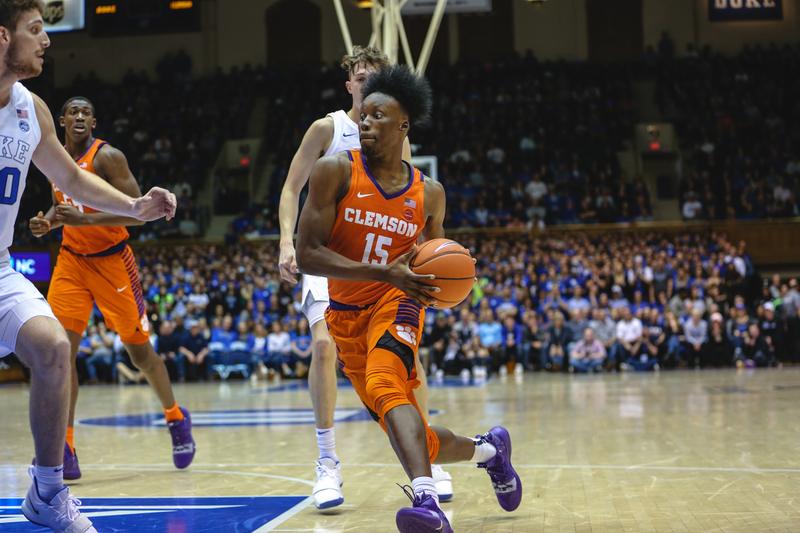 DURHAM, N.C. — Clemson University men’s basketball fell in its Atlantic Coast Conference opener on Saturday evening, 87-68, at No. 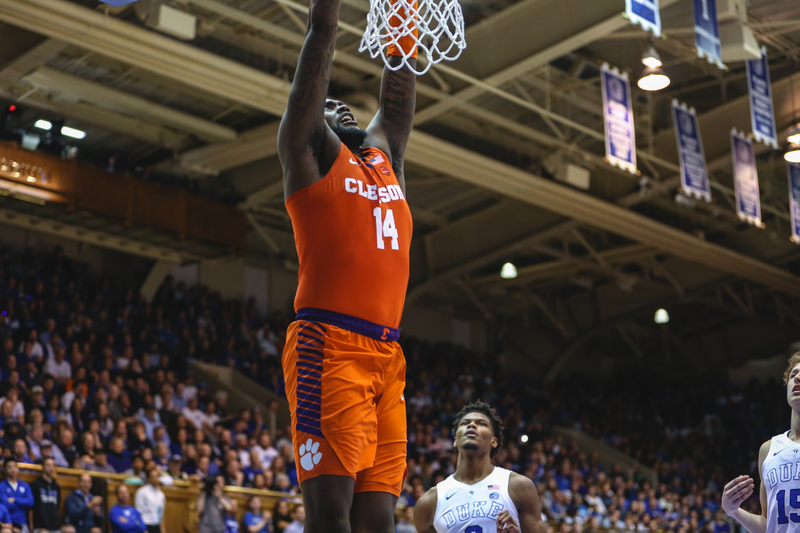 1 Duke. 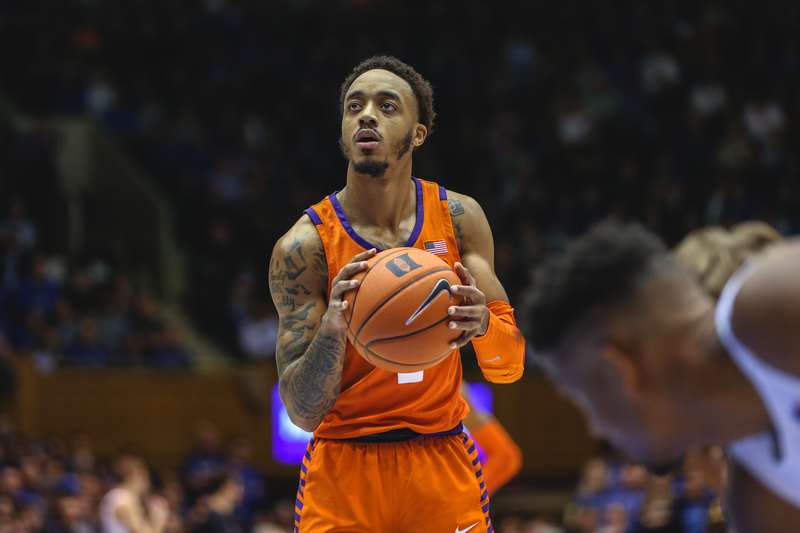 The Tigers (10-4, 0-1 ACC) were led offensively by Marcquise Reed’s 15 points, while Elijah Thomas had 14 and Shelton Mitchell posted 11. 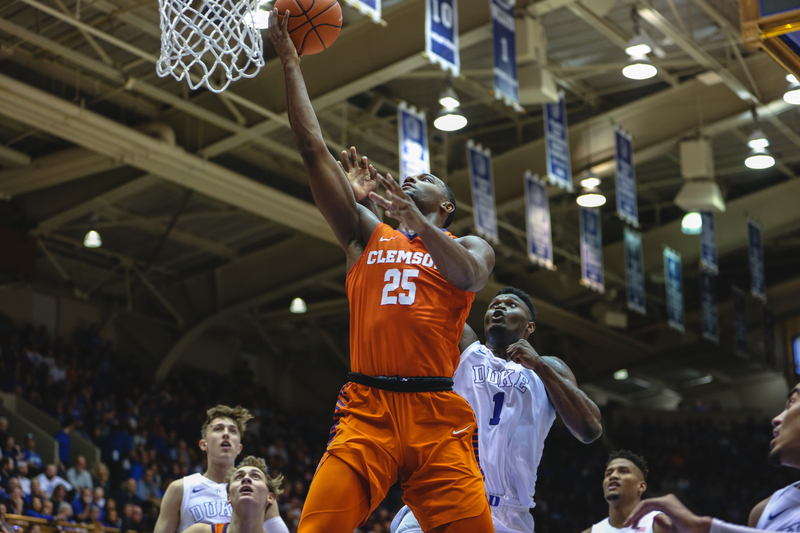 Aamir Simms led Clemson on the glass with 10 rebounds, including four of the offensive variety. 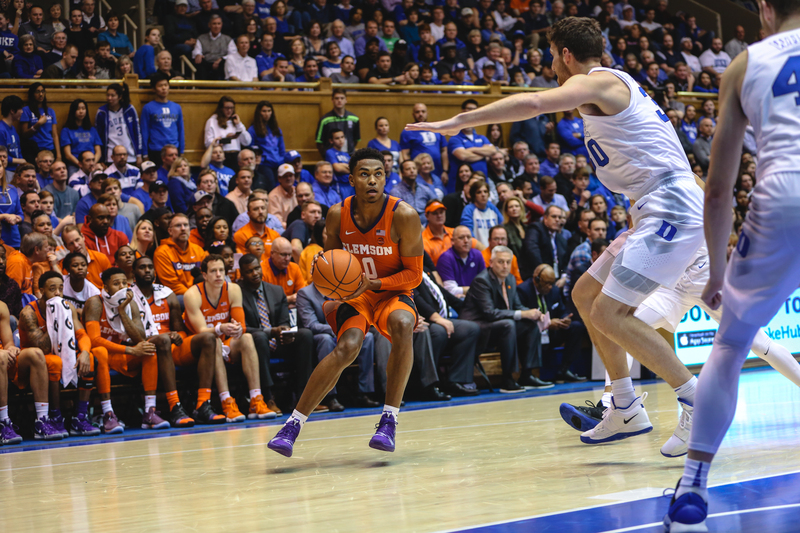 The 10 rebounds for Simms were a career-high. 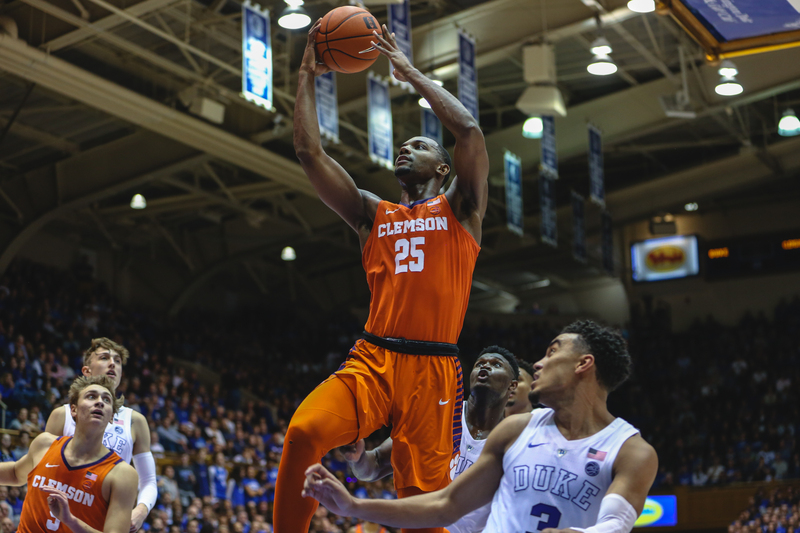 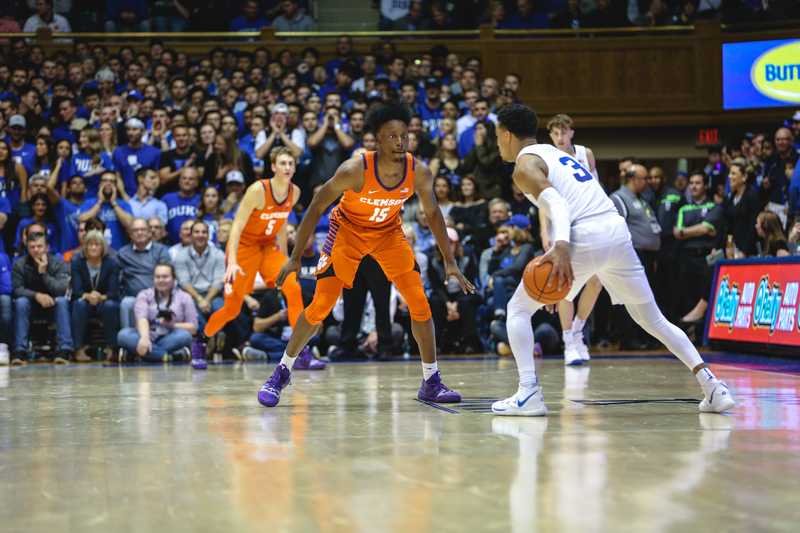 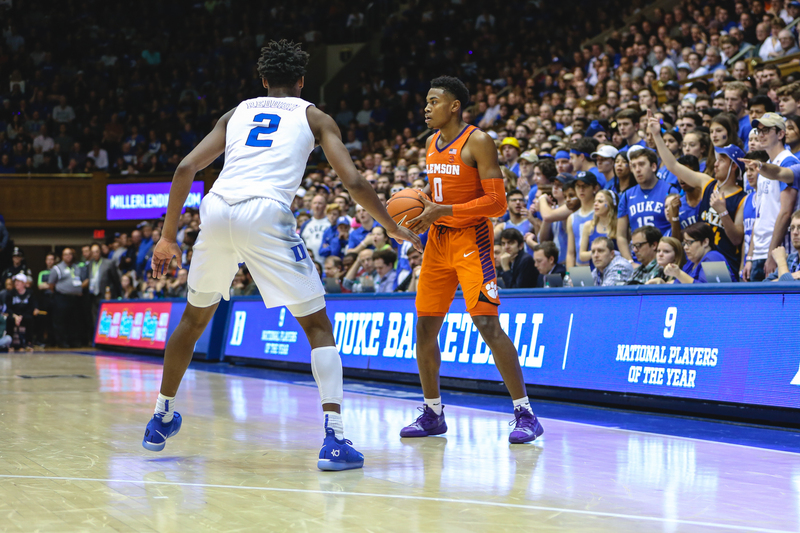 Both the Tigers and Blue Devils (12-1, 1-0 ACC) went back and forth in the opening stanza, including Clemson taking the lead on an alley-oop from Reed to Javan White to make it 24-22 in favor of the visitors. 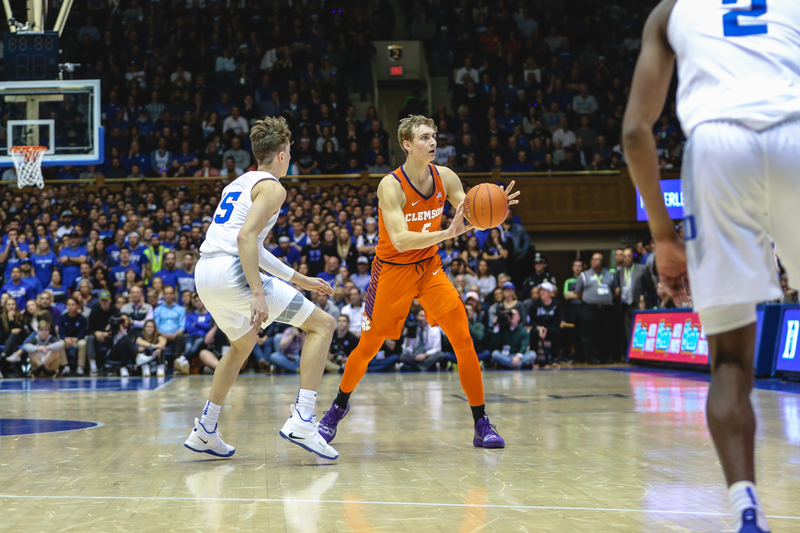 Duke would take a 40-33 lead into the break. 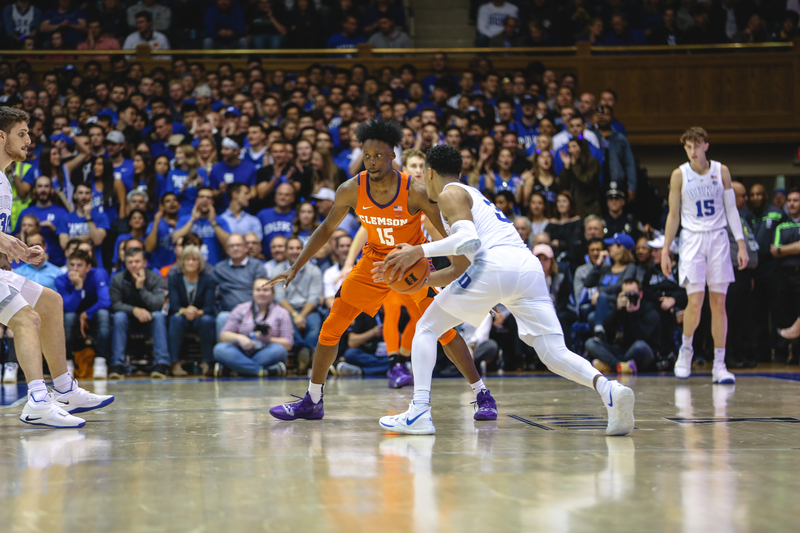 The Blue Devils would open the second half on a 14-0 run to blow the game open and lead by 21 at 54-33. 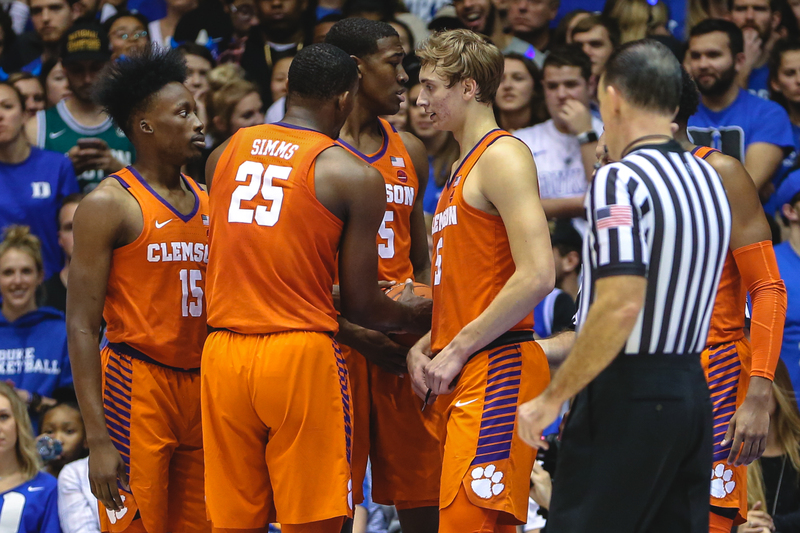 The Tigers would face a game-high 27-point deficit in the period before falling by 19. 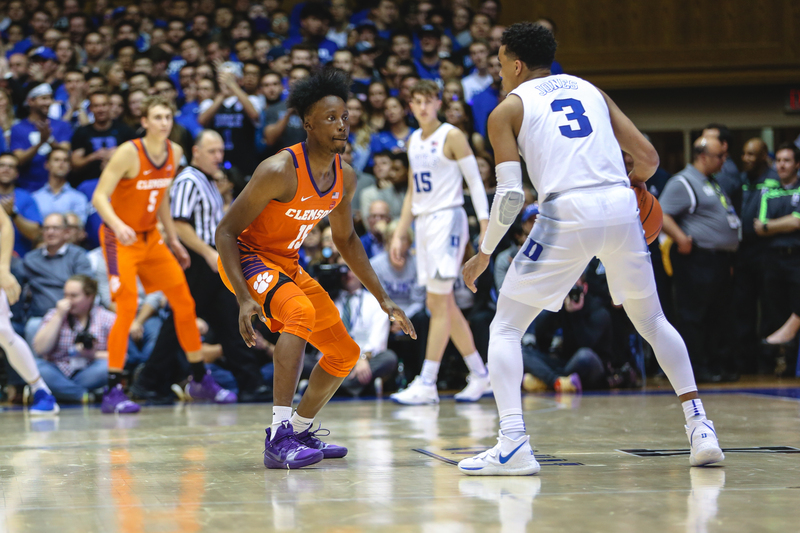 Clemson will return to the court on Wednesday, Jan. 9 when it travels to Syracuse for a 8 p.m. tipoff from the Carrier Dome. 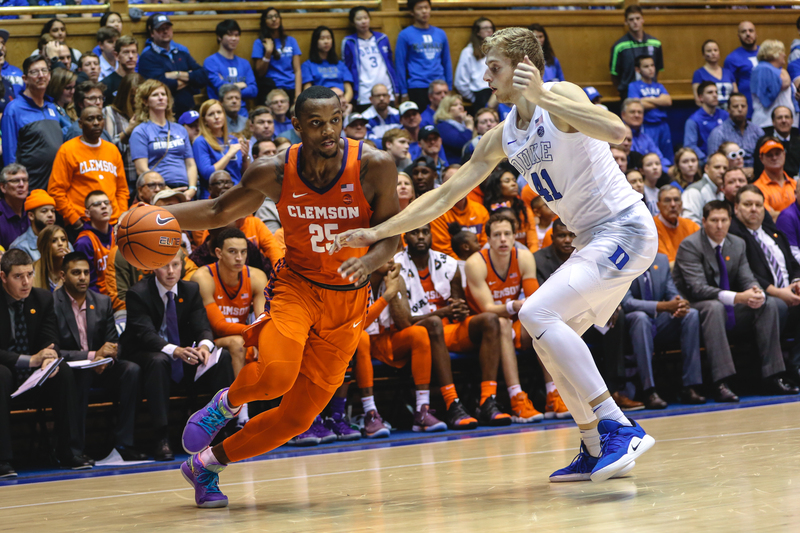 Notes: Aamir Simms notched a career-high 10 rebounds … his four offensive rebounds were also a career-best … Marcquise Reed tied his season-high with nine-straight made free throws between Dec. 30, 2018 to his first three attempts against Duke … Reed posted a season-high eight assists … Reed is two points away from tying Donte Grantham (1,100 points) for 33rd on the Clemson all-time scoring list (1,098 points) … Hunter Tyson tied a season-high with two made field goals … Trey Jemison set a season-high with four points … Jemison also netted his first two career made field goals in the effort … Jemison’s two rebounds matched a season high … Clyde Trapp matched his career-high with three assists (eighth time in his career) … Shelton Mitchell is 91 points away from 1,000 points in his Clemson career.